FURminator� Dog Rake is a professional grooming tool that makes it easy to remove loose fur from dogs with long coats. This all-purpose tool separates and untangles fur while its rounded, stainless steel teeth also work to remove loose fur from your dog. The tool is also designed to provide a soft touch for dogs with sensitive skin. 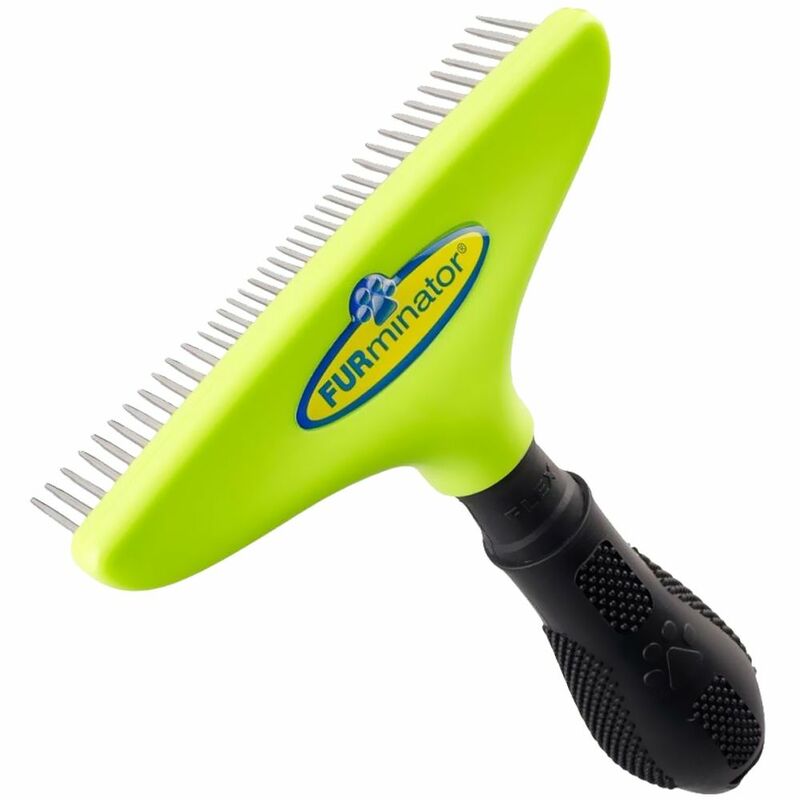 The FURminator Dog Rake features an ergonomic handle that makes it easy to use and that fits securely in your hand. The unique FURflex� head is made from antimicrobial plastic to reduce the spread of germs and is also angles the rake to ensure that it's easy to use. Order this professional rake to keep your pup's coat well-groomed today! Product Dimensions: 6¼" x 5" x 1½".